For those of us feeling the pinch of years, we can thank Richard Rohr for his insightful book Falling Upward: A Spirituality for the Two Halves of Life. Father Rohr, a Franciscan priest, is the founder and director of the Center for Action and Contemplation in New Mexico. Weaving literature and experience, Father Rohr shows how, through the ages, the search for meaning has been a constant, and that only through struggle is a transformation achieved; that those of us who face doubt and despair are the lucky ones for in that facing comes peace. Paula d Arcy’s “God comes to you disguised as your life” is only one of the thought-provoking gems that Father Rohr places in our path. Each chapter is headed with epigrams for contemplation. Carl Jung asserts that “One cannot live the afternoon of life according to the program of life’s morning for what was great in the morning will be of little importance in the evening and what in the morning was true will at evening have become a lie.” Thus Father Rohr’s belief that in the first half of life we are to create the container; the second half to fill it with soul discoveries, all this an easier task to accomplish if we remember that God is the potter, we are the clay. What Rohr calls “soul discovery” we come to by different means. Suffering seems to be the traditional way. Obviously for the reader, that discovery is easily found through myths and legends, literature both biblical and secular, classical through modern, and across all cultures for these are the things we have at hand…along with a contemplative mind, which most readers have or we wouldn’t find such delight in what can be a mostly solitary undertaking. As I read this book, my mind kept turning to Rabbi Ben Ezra, Robert Browning’s lovely poem. The last of life for which the first was made! 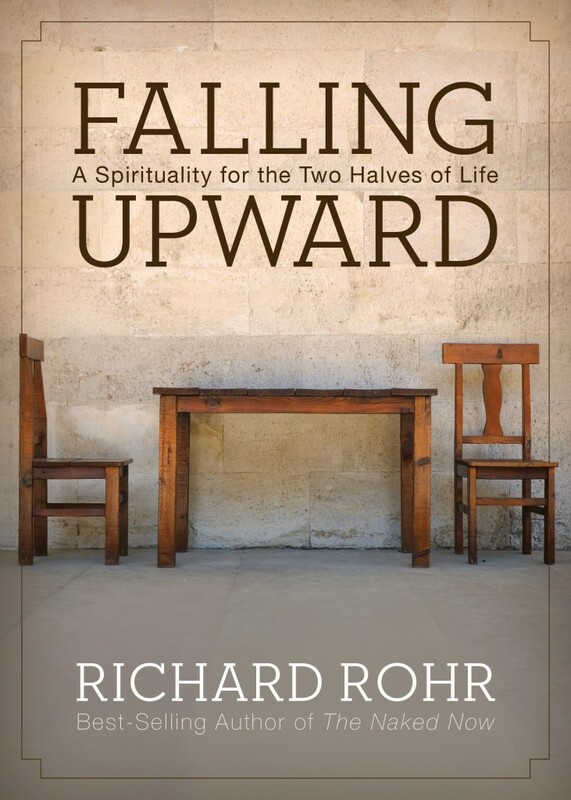 Richard Rohr’s Falling Upward will speak to you on many levels and deserves a place on your night stand.